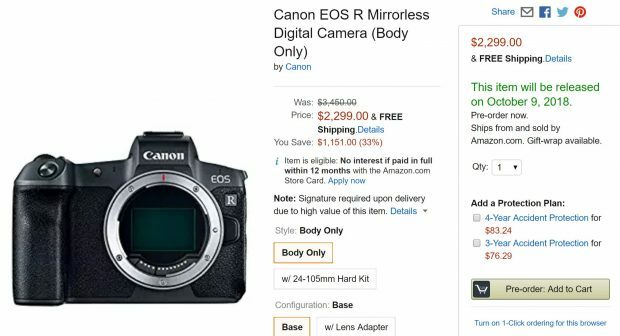 Canon EOS R Already Available for Pre-order at Amazon US ! Hot ! Just one hour before official pre-order time, Canon EOS R and RF lenses & EF & EF-M lenses now already available for pre-order at Amazon US.